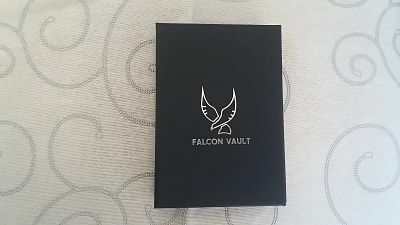 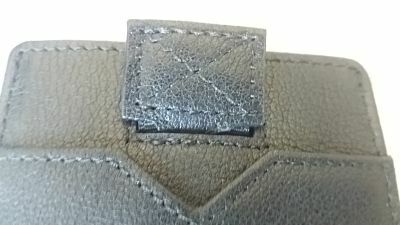 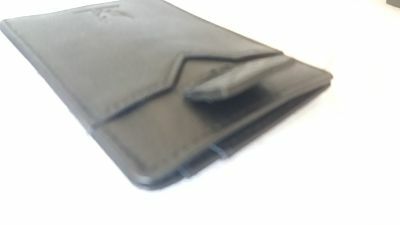 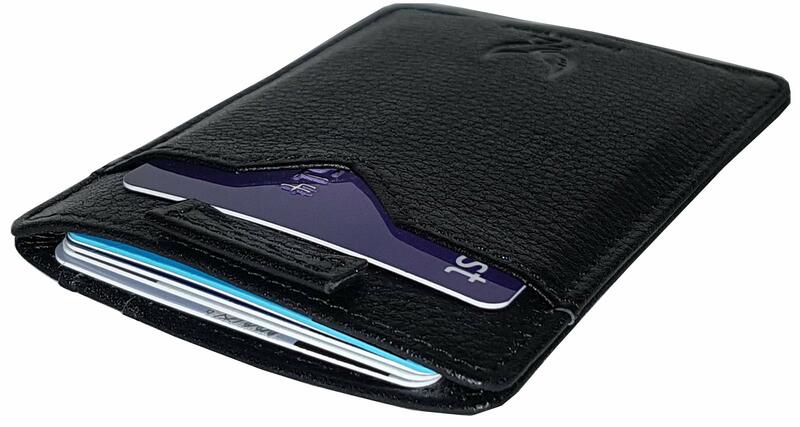 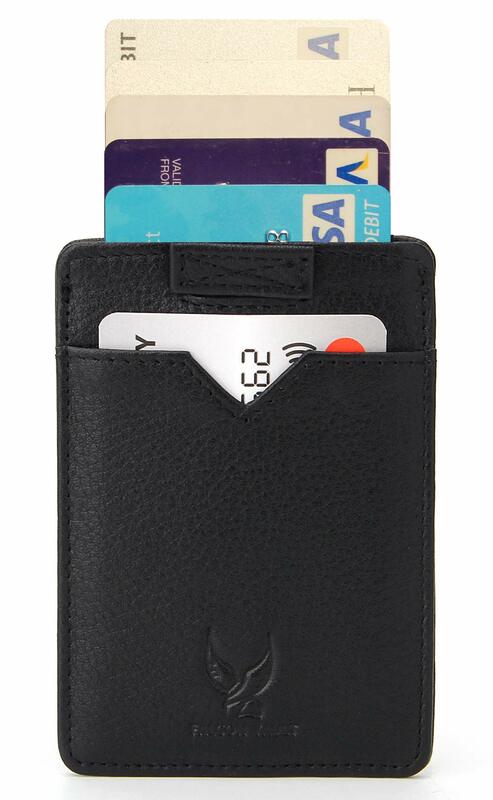 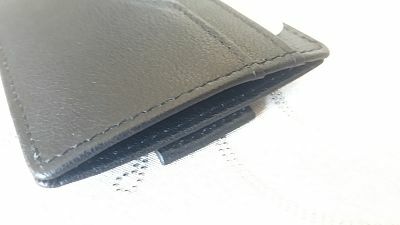 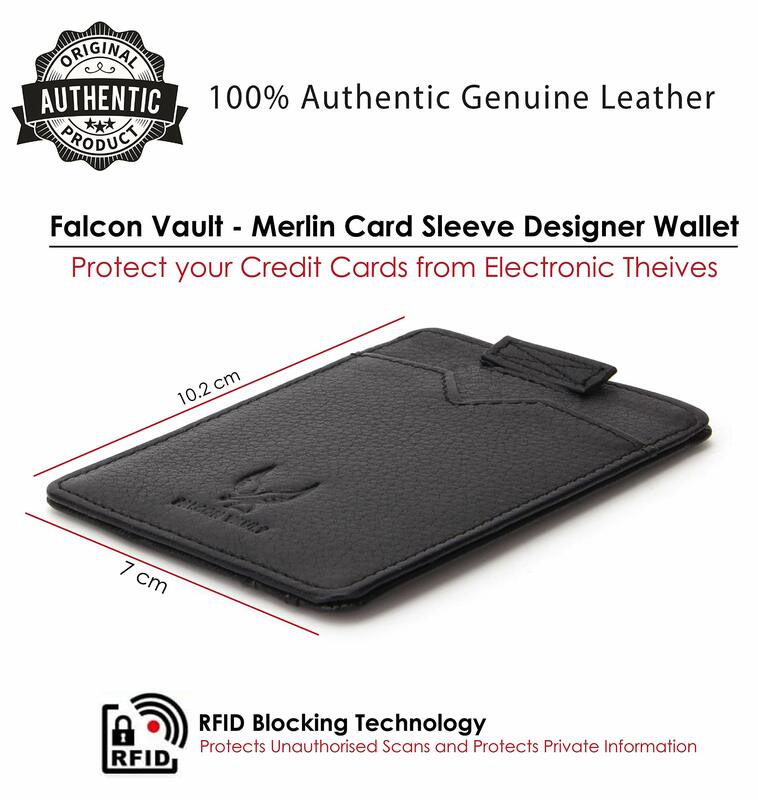 If your looking for a slim minimalist designed wallet that also gives RFID protection at the same time , you need look no further , being genuine Italian leather this wallet is stylish and can hold 10 cards and has a little pouch in the middle for a few coins , no more big bulky wallets for my husband ! 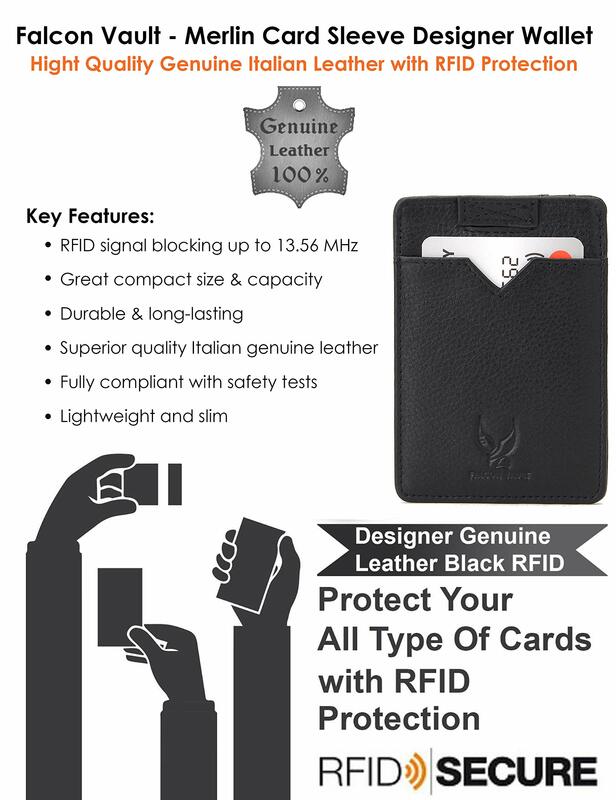 It has a retractable strap design and comes in black with 13.56 MHz RFID protection , the dimensions are 10.2 cm x 7 cm making it convenient and easy to carry around. 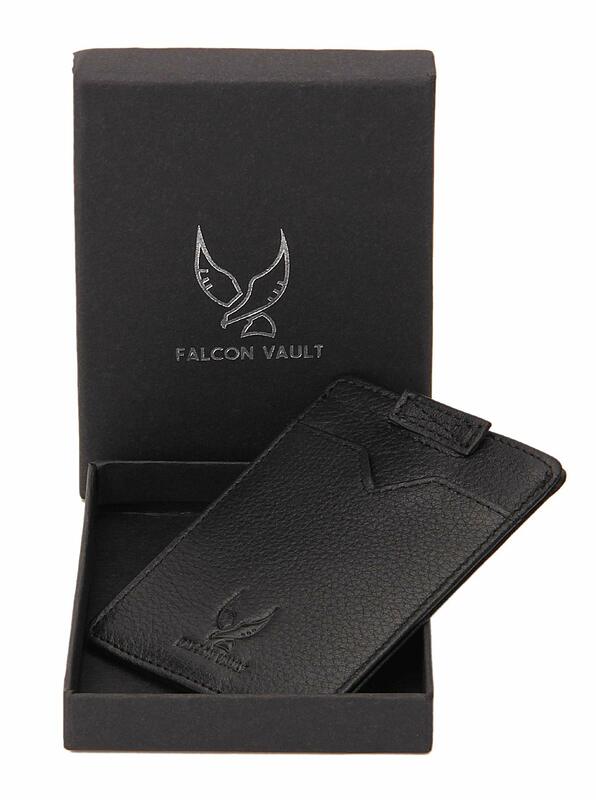 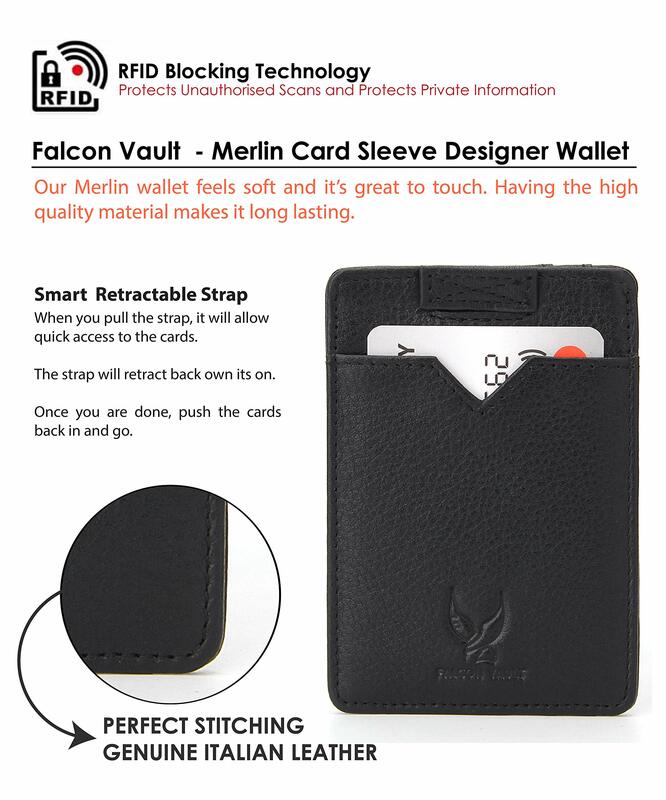 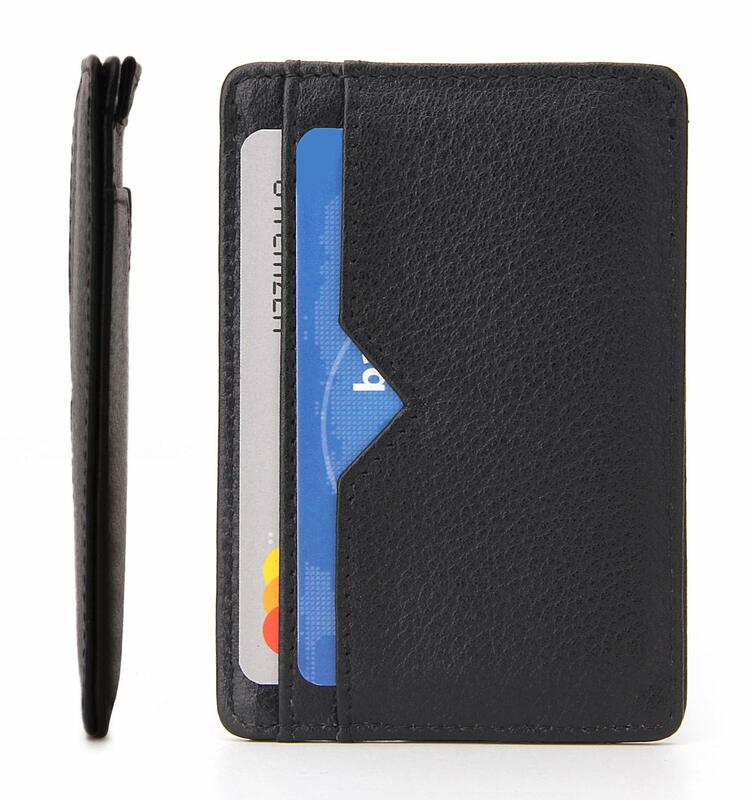 Compact, lightweight and slim design lets you keep card holder wallet anywhere without discomfort and the wallet/card holder comes in a lovely gift box and the wallet inside is wrapped in tissue paper making this the perfect gift for any male , young or old.